Join us in raising funds and awareness for United Hatzalah of Israel. We are doing this In Memory Of Yoni Jesner z'l . 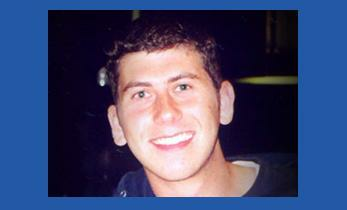 Just before Sukkot 2002, Yoni Jesner, a 19-year-old yeshiva student was killed in a bus bombing in Tel Aviv. 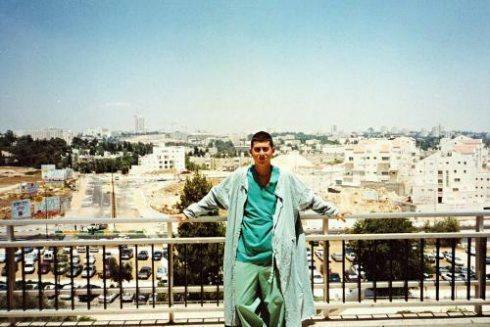 He had dreams of becoming a doctor, living a life dedicated to saving others, and he was a true inspiration to everyone he knew. Today, Yoni's memory lives on by his loved ones and continues to inspire all that knew him. One of his friends, Ben Casper decided to honor Yoni by getting friends, family, and other community members to donate a life-saving ambucycle in honor of his memory. Together, they raised over $36,000 to purchase an ambucycle equipped with new emergency medical supplies that will be used by one of United Hatzalah of Israel's volunteer medics. The response to this original campaign was tremendous and many people felt compelled to further give in honor of Yoni's memory. With that in mind, a second campaign has been launched here to create the Yoni Jesner Memorial Team of volunteer lifesaving medics in Israel to support an entire team of United Hatzalah medics who will respond to emergency calls in Yoni's name, and every life saved by them will be in Yoni's merit. Please help us honor Yoni's memory throughout Israel and around the world. With more volunteers, we can fulfill Yoni's dreams of saving more lives. "If you find it difficult to motivate yourself to do something useful then ask yourself the following questions: At the end of the week what will I have accomplished? Will I have watched T.V. or will I have watched my actions? Will I have changed my hairstyle or will I have changed someone's life? Will I have shared gossip or will I have shared knowledge?"